Tyre Fitting in Preston could not be easier. With TyreFitDirect we can supply and fit tyres to nearly all UK mainland destinations either on one of our mobile vans or at one of our depots. So if you are looking for tyre fitting in Preston you have just found your local online supplier. We fit tyres on almost all makes, models and derivatives of cars and vans and are available either online or on the phone. At TyreFitDirect we pride ourselves in offering some of the best deals on the web. Please peruse our site to check out some of our offers. We look forward to fitting tyres for you in Preston soon. TyreFitDirect, the Preston tyre fitting company of choice. Lancashire is a county in the north west of England. Today it borders Cumbria to the north, Greater Manchester and Merseyside to the south and North and West Yorkshire to the east, with the county having a coastline on the Irish Sea to the west. Although Lancaster is still considered to be the county town, the county’s administrative centre is Preston. It is surprisingly rural with 80 per cent of the county officially classed as rural. The Red Rose of Lancaster is the county flower of Lancaster and used in the county’s a heraldic badge and flag (referring to the 15th century War of the Roses). People from the county are known as Lancastrians. Preston is one of England’s newest Cities and in 2012 it celebrated the Preston Guild, which only happens every 20 years and is England’s oldest festival. In 2013 Lancashire attracted just over 63 million visitors who contributed £3.5 billion to the local economy and helped support 56,137 jobs. The county also has a population of around 1,461,000. 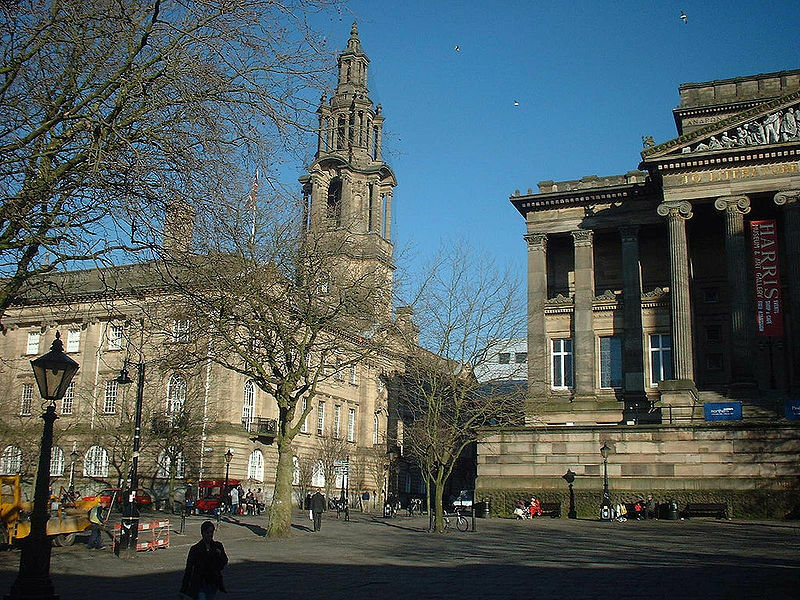 Preston is a city and the administrative center of Lancashire. The whole district obtained city status in 2002, becoming England’s 50th city in the 50th year of Queen Elizabeth II’s reign. Home to Preston North End F.C., one of the founder members of the Football League and the first champions. Many notable buildings dotted in and around the city center including the Miller Arcade, the Town Hall, the Harris Museum, the Minster Church of St. John the Evangelist, the former Corn Exchange and Public Hall, St. Wilfrid’s Catholic Church, Fishergate Baptist Church, and many beautiful Georgian buildings on Winckley Square. The first Kentucky Fried Chicken outlet in the UK was opened on Fishergate in 1965. The settlement, or unparished area, of Preston has a population of 114,300, the whole City of Preston district has a population of 132,000. Preston is approximately 27 miles North West of Manchester, 26 mile north east of Liverpool, and 15 miles east of the coastal town Blackpool.